The Bar is a journey through the history of the cocktail par excellence: the Dry Martini, by way one of the most important bars in Spain, the Dry Martini Bar. Accompanied by Javier de las Muelas we will learn about the origins of the cocktail, discover its relationship with art, cinema and literature, and that it was the preferred cocktail of such people as Hemingway and Churchill. 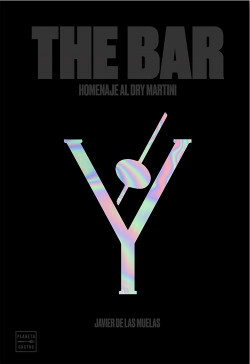 In addition, we will explore every corner of the space and history of the mythical Dry Martini Bar in Barcelona, from its inauguration to its expansion around the world. We will be privileged with details and stories never told before and we will sneak into the back room for 24 hours. Furthermore, Javier de las Muelas will reveal the secret to preparing the perfect Dry Martini, and thus connect with a history of luxury, glamour and elegance.